Rugged stands for ‘manufactured to withstand rough handling’ in official dictionary terms. That’s not much different from how rugged computing device manufacturers describe their products. VDC Research says that the market for rugged devices is in transition mode, and is expected to witness gradual growth in the upcoming years. In the enterprise sector, technology has to be purchased for company operations and to provide employees with tools to do their jobs efficiently. However, such intended improvements could be accompanied by costs if the selected technology does not survive long in the sector. This is the main problem with traditional computing devices. The average lifespan of conventional technological devices is two to four years, and this is gauged by factors such as computing needs and usage patterns, both of which are typically high in the enterprise industry. These are a few reasons why rugged computing devices are making way in the enterprise sector. Rugged manufacturers on their part are playing smart to capitalize on this opportunity by taking design, hardware, and software cues from the consumer electronics market. 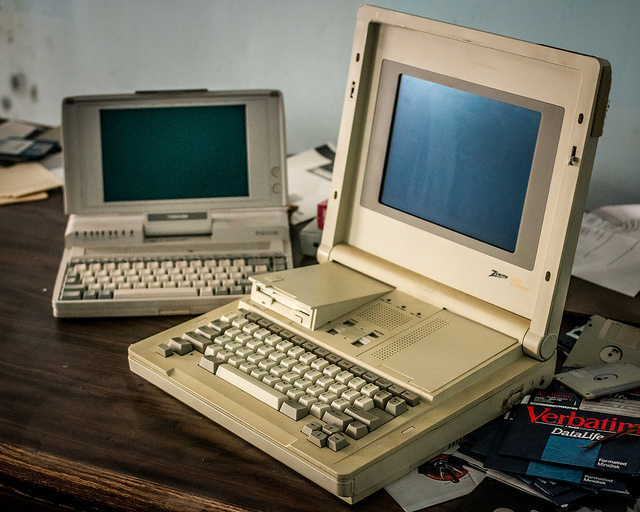 Because of their longer lifespan, rugged computing devices are being considered as IT assets. These devices can be purchased or leased, which gives flexibility to organizations either on operating or capital budgets. In contrast, leasing is not a viable option for most traditional IT premises as they have lower residential value after the first few years of use. Though this might not be a major factor during initial deployment, which can be termed as a factor expense, it is different when considering the cost of replacing conventional IT devices. Enterprise applications also require additional data collection abilities, like the ability to take payment in a remote location, a tactile keyboard, and a walkie talkie to let employees communicate undeveloped remote areas. Rather than using consumer devices with a plethora of accessories that can be damaged or fail at any instance, rugged computing devices offer enterprises an all-in-one solution for such tasks. There are many industrial computers and computing systems that are available to use with specific and even rugged applications today. Enterprises can easily obtain rugged computing devices that have been tested rigorously to ensure reliable operation and ultimate durability in a short amount of time. Such devices are designed to function in the harshest environment, and each component embedded has been integrated to complement the entire device, offering utmost reliability. Enterprises can therefore select a computing system tailor-made to their specific requirements. When it comes to the BYOD trend, mobile devices have multiple functions to support, such as running GPS, connecting to mobile printers, and supporting wireless keyboards. All such functionality consumes power, especially when tasks are performed simultaneously. This makes battery life and power management critical for enterprise use. Rugged mobile devices such as Runbo’s X3 and X5 allow for all such functions and include a battery that is 3 times more powerful than the standard handsets used in a BYOD-approved workplace. The choice of mobile computing devices is critical to a success of an enterprise. While sleek and elegant, consumer devices may not be able to withstand the demands of a company. So it could be a good idea for enterprises to consider rugged devices during an IT equipment rollout. Previous articleIs printer ink really the most expensive liquid on earth?